Society thrives on changing styles and fashion fads, and this is perhaps most notable within the home itself. Throughout history, from the time of the Anglo Saxons all the way through to the Victorians, the kitchen has always been at the heart of the home. A place to eat, a place to cook, a place to socialise; the kitchen is the very soul of the home. As a homage to one of our favourite rooms of the house, we’ve created a guide to the most popular kitchen styles over the past decades, looking at how designs and layouts have evolved, while also sneaking in a few style inspirations we can use for ourselves; after all, who doesn’t love a bit of retro? The epitome of the retro chic kitchen, the 30s was the era of linoleum checkered flooring, pastel coloured walls and small fridges. Though we are most definitely relieved that fridge sizes have increased over the years, we must admit there is something charming about the Thirties-styled kitchen. The timeless boxed furniture, the eye catching floors, the stylish french windows – it’s easy to see why so many people seek to imitate this style within their own kitchen. 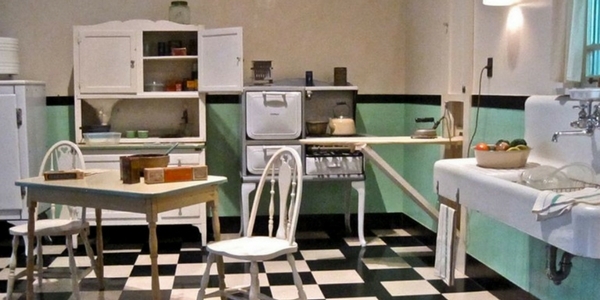 When it comes to vintage kitchens, perhaps nothing screams retro more than the 1940s styled kitchen. Patterns, patterns and more patterns is the key theme through this decade. From curtains and tablecloths to flooring – if there was a print, there was a way. 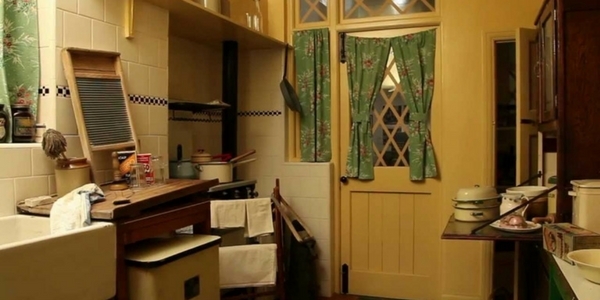 Filled to the brim with cupboards and pull down drawers, the kitchens of the Forties were bustling and busy, and certainly visually striking. 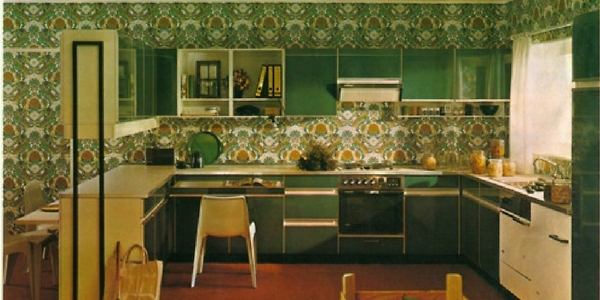 Continuing the pattern frenzy of the 40s, the kitchens of the 1950s were bright and vibrant with dazzling colours that lit up the home. 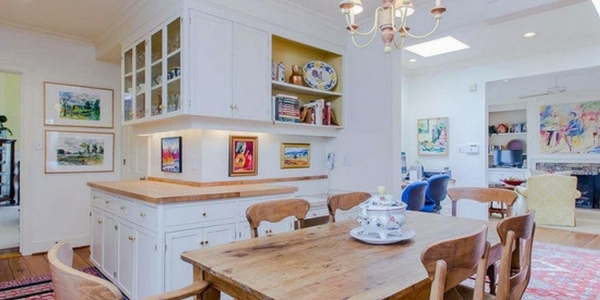 Even the furnishings themselves became brighter and shinier as wooden cabinets were traded in for metallic steel. Bringing edge and shape to the room, Fifties kitchens were all about making a statement, and that’s something we can definitely relate to. If the 50s were all about bright colours, then the 1960s were all about extremity. 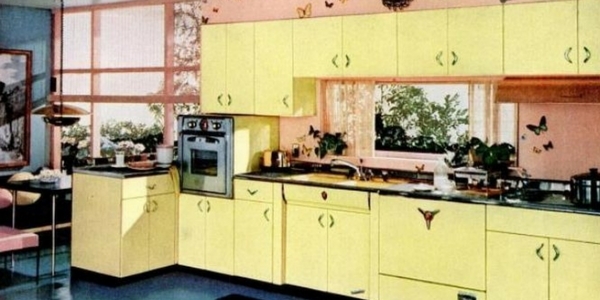 Just like everything in the 60s, home decor was all about uniqueness and individuality. 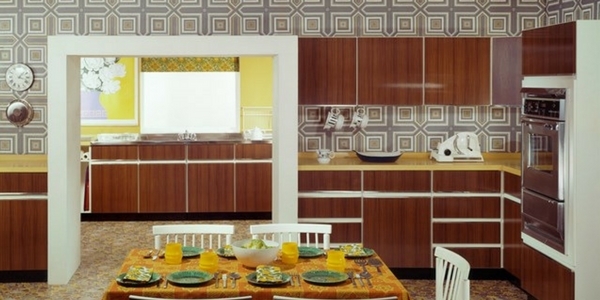 From orange flowered wallpaper to lime green walls, nothing about 60s kitchens was subtle. Complete with stainless steel appliances and minimalist furniture, the Sixties combined fun with practicality in the best way possible. Although we’re not too sure about that wallpaper, we can’t deny secretly loving the boldness of it all. 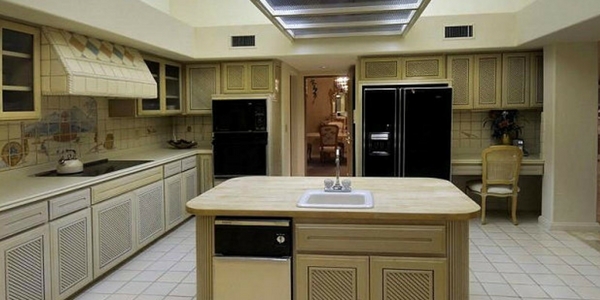 The anti-60s, the 1970s kitchen was the polar opposite of the bright rainbow filled kitchens of the previous decade. Earthy and neutral, out went the bright orange cabinets, and in their place were left dark-shaded cupboards and wooden worktops. Emitting a golden tone throughout the wall colourings, the Seventies embodied the spirit of the cosy kitchen which is still echoed throughout today’s home decor. Another striking contrast, the 1980s took the dark and woody undertones of the 70s and transformed them into white sparkling surfaces. Handleless wood-lined white cabinets become popular in kitchens up and down the country, while white tile and ivory countertops made their debut in the home. A huge turning point in home decor, the Eighties was the most subdued in terms of furnishings and colourings, paving the way for modern minimalism. Continuing on from the 80s serenity, the 1990s carried on the white furnishing fad, with white counter tops and appliances alike. Peppered with country undertones and warm wooden drawers and cupboards, the nineties harmonised cosy with minimalism to create its iconic look. As the addition of kitchen islands to the home rose throughout the decade, the 90s became the era when the kitchen became less a place of domestic duty and more a social hub of the home. Chic, sleek and stylish; those are the three words that perhaps best sum up the contemporary styled home. While each kitchen is unique within the modern era, it’s fair to say that when visualising the 21st century kitchen, smooth surfaces, sleek counters and minimalistic edges are perhaps the first images that spring to mind. The modern kitchen is built on an idealism of clean edges and light open spaces, giving the home a fresh and bright atmospheric feel that we can’t help but love. The kitchen is the room that is always moving forwards, both in design and in purpose. 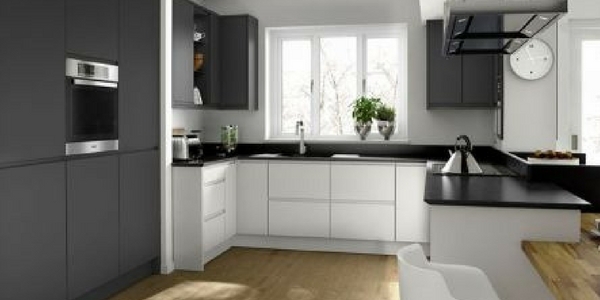 To ensure that your kitchen is always keeping on trend and evolving with the times, why not contact one of our friendly team; we’re always ready to help you out in anyway we can in helping you create your dream home.